I bought this little book about ten years ago from a thrift shop and paid a whole $2 for it, but it’s been one of the most useful Christmas reference books of any I've seen. Published way back in 1989 the contents are still as fresh and relevant now as they were then. It’s out of print now but you can still pick up copies here and there. I've seen one today on leurabooks.com.au for $6.30. 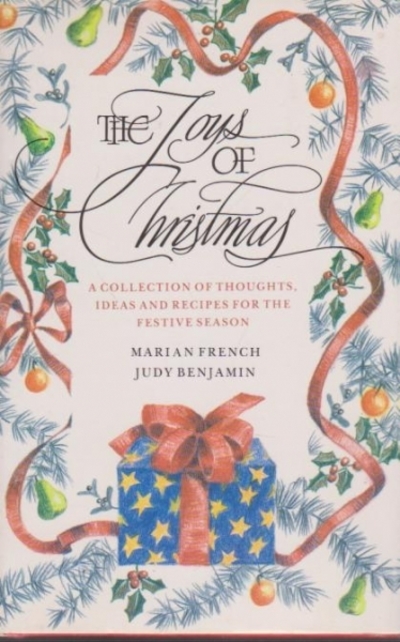 It’s compiled by Marian French and Judy Benjamin and it covers a broad variety of information, ideas and recipes for Christmas. There are quotes, carols, crafts and even games to play. Sprinkled throughout all this are explanations of many Christmas traditions and how they came to be. Of the several recipes, I've already made the Courambiades (Christmas Shortbread) and the Spiced Walnuts. This year it’s going to be the Mulled Wine. This is a jam-packed but compact little book and one that would make a lovely Christmas gift if you’re lucky enough to find one.